Whether you are interested in a career in academic research or are considering a different path, building your professional network early will allow you to learn more about potential opportunities. You can see the career paths of alumni from your graduate and undergraduate institutions. Create a LinkedIn account with a professional email address. Putting a face to a name is invaluable, so consider having a friend take a head-shot (head, neck & shoulders) against an undecorated, light colored wall. Make sure you are professionally dressed – no lab coats! Your summary is a great place to write your “elevator speech”; a paragraph or two about who you are and your potential value to the people/industries who may view your profile. This is NOT an “objective”; it is a description of your qualifications and interests. Use keywords you think others would use to find you or terms used in job postings in your field of interest. Be specific, not repetitive, and drill your skills down as far as possible in order to ensure your uniqueness. For example, instead of just listing “biophysics,” include specific methods, such as “Small Angle X-ray Scattering (SAXS)”. Some recruiters recommend that you write your summary in the first person (more energetic!) – but ultimately whether you choose to write your summary in 1st or 3rd person is a personal choice. Visit this LinkedIn page for instructions on how to set your personalized URL. Creating a custom URL helps you cultivate your personal brand, and can be as simple as using your name (without spaces). Include your customized URL on your business cards and on your resumes. Fill “Skills & Expertise” with keywords. You’re allowed to add up to 50 “areas of expertise,” however adding all 50 may make you appear less focused. Include only what relates to your expertise and you interests. Thousands of people may have a basic skill listed; narrow it down so that you’re one of a few that the search engines return in a result set. For example, a simple search of people on LinkedIn with the word “biophysics” returns more than 43,000 profiles. However a search for SAXS returns less than 1,800. This area will auto-fill as you start typing, but if you want to list a skill that doesn’t, it will still show up in your profile. Make sure to add a list of your publications or conference presentations. If your lab has a website, add the link to your profile. Under “Privacy Controls”, click on “Turn on/off your activity broadcasts”. Turning your activity broadcasts off allows you to create/make changes to your profile without having your contacts see what you’re doing. There are several other options under the “Privacy & Settings” page, so be sure to review and adjust these settings to your personal preferences. Keep in mind that LinkedIn is meant for finding qualified professionals, so review your privacy settings often so that you’re putting yourself out there and getting the most you can get from LinkedIn. Try to make 100 initial connections. Include your PI, lab-mates, fellow students, other faculty, collaborators, alumni, and people you have worked with in the past. Do NOT include ALL your email contacts, indiscriminately. Ensure your connections relate to you professionally (past, present, or potentially in the future). If you are creating/updating your profile as you are creating your network, consider turning off your activity broadcasts (see #9 above). Always add people you meet during face-to-face networking events or conferences. When making connection requests, do not use the default text. Instead, tailor each request to include who you are, how you met them, and the reason why you would like to connect with the recipient (just a sentence or two). This way they are more likely to take notice. If one of your connections knows someone you would like to meet, ask for an introduction. Word your request carefully, stating that you would understand if they are not willing to make the introduction at this time. If someone you do NOT know wants to connect with you, review their profile before deciding whether to accept or not. 3. Don’t forget to network in person. For example, LinkedIn can be a great place to request an informational interview, but the interview should be in person. Post publications you authored, conferences you attended, etc. Profile changes will show up in your contact’s “newsfeeds” as types of status updates. Post articles or other information related to your field of interest. Endorse the skills of people you have worked with. Request endorsements of your skills and recommendations. Ask your colleagues to endorse your skills and offer to reciprocate. Ask your PI, collaborators, or past supervisors to write a recommendation for you (they would need to have a profile themselves to do so). Make this request in person, if possible. Cautionary note: Be careful who you choose to write a recommendation for you. The person who writes the recommendation can have it visible under their own profile, even if you do not. Join groups in your field and participate in discussions. Always express yourself in a professional manner. It may be useful to join groups of like-minded professionals, for example, the group of your graduate program, or a group of researchers in your field. For networking groups, you may opt to receive emails about get-togethers that you could attend. Additionally, as a group member you can directly message other group members, who you may not be able to message if you aren’t a group member. Johns Hopkins Medical Institutions Alumni Network – Join this group to network with other students, alumni, and faculty. JHMI PDO – The JHMI Professional Development Office works with graduate students, postdoctoral fellows, and early-career faculty in the Schools of Medicine, Nursing and Public Health to help plan routes to independent careers. Hopkins Biotech Network – HBN’s mission is to create a stronger biotech community, which addresses the interests of its members. PhD Careers Outside of Academia – This group is for those who are, or are considering working in a less traditional academic career path. Add your official undergraduate institution group. JHU School of Medicine – this search will show all LinkedIn users who list JHU School of Medicine in their profile. When you visit this link, there are many ways to search these contacts for your needs. If you want to see alumni from other schools you attended, just click on the school name from your profile, or type into the search bar at the top of your home page. You can search for companies by scientific field or by location. You will be able to see if any of your connections work in these companies. You can search for jobs, by keyword (e.g. Ph.D.), location, etc. HBN event on LinkedIn and Networking: see the video here. 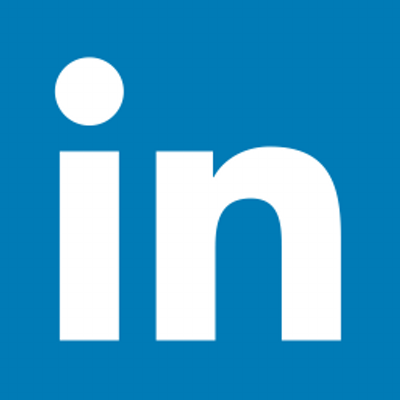 You can find a variety of LinkedIn Tip sheets here. A still-relevant 2008 article by Dave Jensen. LinkedIn should be used as a professional resource, to establish connections. Unless you maintain a level of professionalism on every social network you use, be sure to review your privacy settings for those sites. Your potential future employers or collaborators are viewing your LinkedIn profile; try to keep it as close to an online copy of your resume as possible. A LinkedIn profile will also improve your chances to be found through Google.